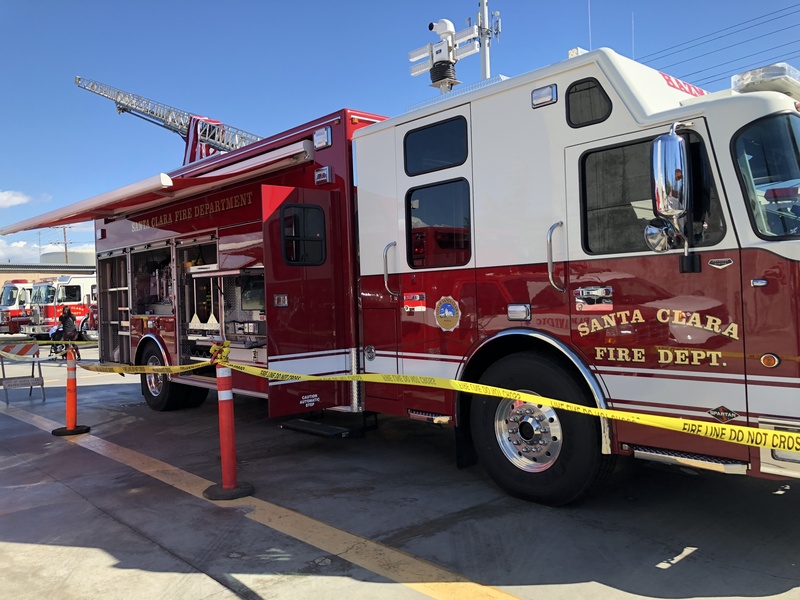 A new fire truck will be rolling through the streets of Santa Clara, one with a very special purpose. The fire department is putting the finishing touches on a new hazardous materials truck, designed to handle situations big and small. While the department still needs to put more equipment on the truck, when it’s finished it will be housed at Station 9 on Corvin Drive, the same station the current hazmat truck operates out of. Ray says the new truck could not have come at a better time. The current truck is more than 20 years old, and, while it still works, the new truck offers a ton of new possibilities when it comes to technology. The department can now store and charge essential devices onboard the truck, which can be essential in the event of a chemical spill or gas release. “We have software that models the plume and where it’s going so we can have people shelter in place,” said Ray. The old truck will be placed in reserve, offering the department another option in emergency situations. 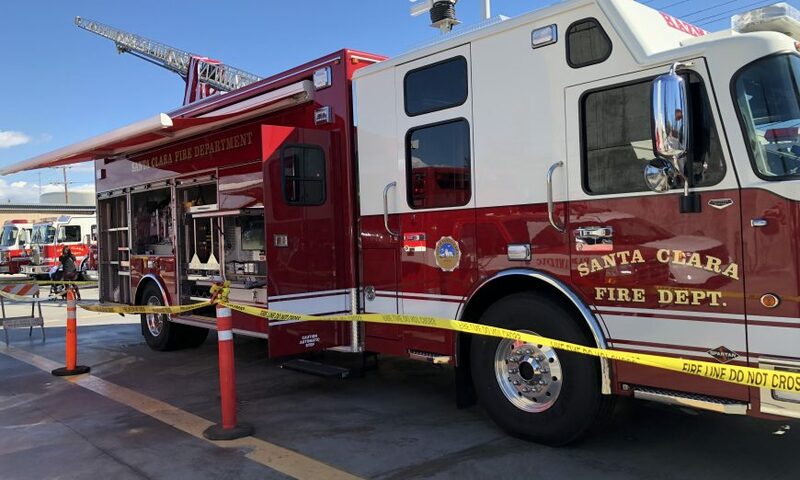 If there’s a large emergency or an event like the College Football Championships at Levi’s Stadium in January that requires the use of the new truck, the department will have the option to call in off-duty personnel to staff the reserve apparatus and respond to the everyday emergency calls. Ray says the biggest benefit of the truck is actually how it can be used in those everyday emergency calls. “Vehicle accidents happen all the time. When they do, there’s fluid spilled out and if you don’t contain it, it spills into the storm drain and can contaminate the ocean,” said Ray. The new hazmat truck has a tank full of absorbent much like the water tank of a fire truck. There is a chute on the back of the truck that can be operated by the truck’s driver. If there’s a spill, the truck can drive over the fluid and drop the absorbent on it. “It’s not some cool new computer feature or something like that, but in terms of practicality and use, it’s really going to be good for us,” said Ray. The SCFD will be putting the new truck on display for the public at an upcoming City Council meeting.